Everywhere I look, I see images of cookies, cakes and desserts in preparation for Christmas. So to balance out the overload of sugar, I decided to make this North Indian dish, also known as Nimki. These savoury crackers make me reminiscent of my childhood where a jar of this would always be waiting for us as an afternoon snack. This is one of my favorite snacks and when Akber requested this, I turned to my mom for her trusted recipe. 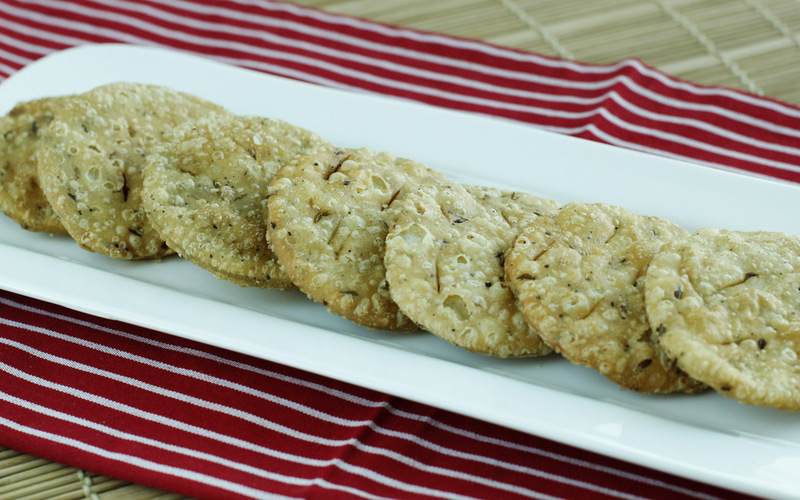 These flaky crackers definitely have that ''crunch'' to them and the thinner you make them, the crunchier they are. The addition of black pepper gives them an extra zing. These crackers are usually served as a snack with tea but I seem to pick a few every time I pass the jar. And if you are lucky enough to have any leftovers, then they are simply divine crushed over a salad. These can be stored in an airtight container for several weeks but I'm sure that won't be necessary as you probably won't have any left! As a side note, Lick My Spoon is now on twitter. We're still learning the basics so if you fancy giving us a helping hand in the world of tweeting, you can follow lickmyspoon247 and give us a few tips! 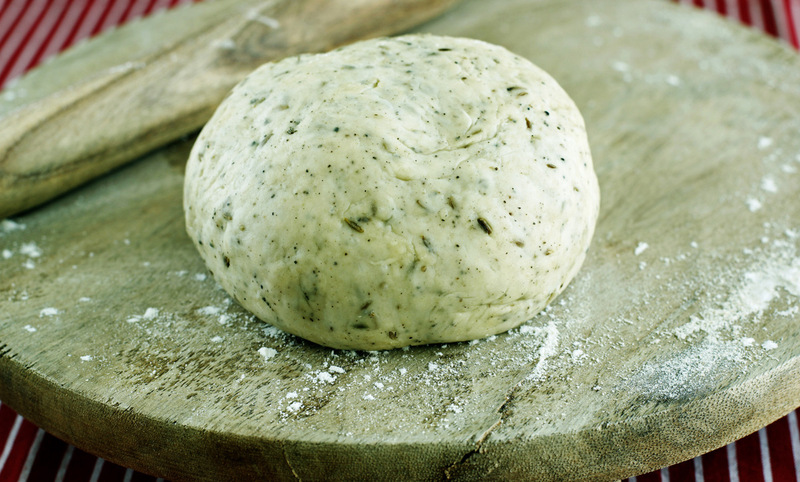 In a bowl, mix together flour, cumin seeds, black pepper and salt. Add 3 tablespoons of oil and rub the mixture until it resembles bread crumbs. 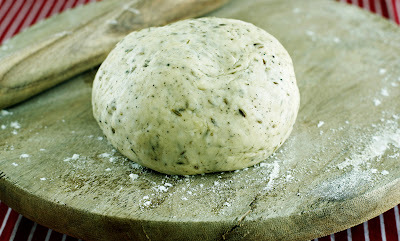 Add water to make a firm but pliable dough. Roll into a ball and leave it covered for 30 minutes. 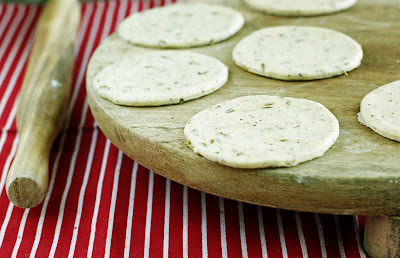 Roll the dough out into a thin disc (the thinner you roll it, the crunchier the cracker will be). Using a small circular cookie cutter or glass, cut small rounds (about 1 1/2 inches). You can the re-roll the scraps and repeat. Using a knife or fork, make 3-4 pricks all over each circle. Deep fry in medium hot oil, turning every now and then until golden. Drain on a paper towel. Store in an air tight container when cool. I have all of the ingredients on hand to make these and have added this to my list of makes. I cannot wait. Hopefully I will have time to do this before vacation so I can take these along on our road trip. They look so delicious. I bet they would go great with hummus too! These sound delicious! I love the idea of adding cumin to a cracker! They would be wonderful with hummus...Mmmm! Hey I think it would taste awesome with hummus. Can't believe I didn't think of that myself! Lovely recipe n beautiful clicks !!! 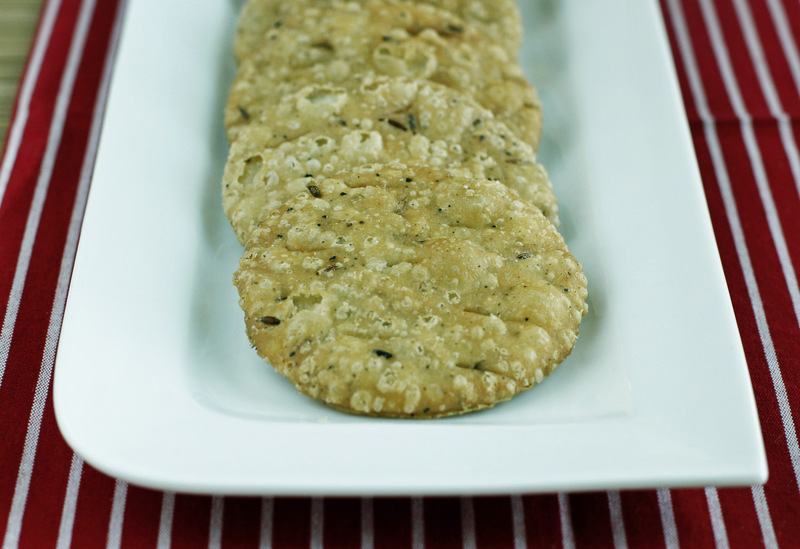 I bet these would be amazing with Chana Masala. I'm definitely trying them very soon! Thanks for sharing this wonderful information. It's very helpful for me. I am really impressed for this article topic. If you want more other details for Online Business Page at possible in the India.